We arrived back from New Orleans on Saturday morning. Whilst the overnight flight was tiring, the holiday was fantastic. The history of New Orleans reads like a novel. In 1718, the Frenchman Sieur de Bienville founded a strategic port city five feet below sea level, near the juncture of the Mississippi and the Gulf of Mexico. The original city was confined to the area of the French Quarter. 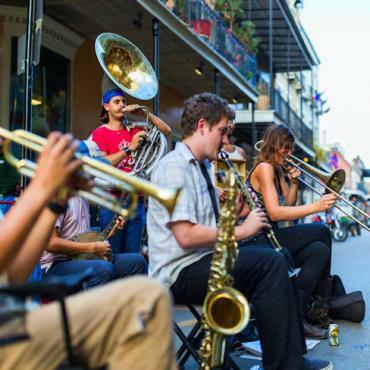 Today, New Orleans extends well beyond the historic area and is famous worldwide for its jazz, unique cuisine, riverboats and seemingly endless parade of festivals. New Orleans, with its mottled old buildings and distinct air feels more old European capital than American city. European influence is also seen in the city's famous above-ground cemeteries – almost shocking in their stature, but worth doing a walking tour. New Orleans’ neighbourhoods are full of history, culture and amazing stories. The French Quarter and Bourbon Street is the entertainment hub of New Orleans. Over the years it has been home to vaudeville, burlesque, jazz joints and gentleman’s clubs. Today, the adult fun continues, but there is also more emphasis on the traditional jazz clubs, upscale lounges and historic restaurants. 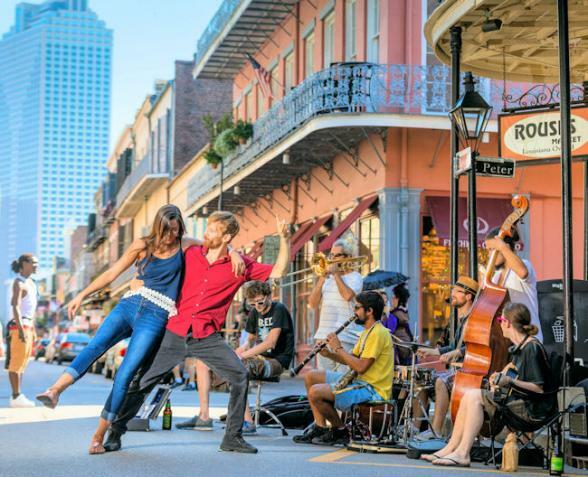 One thing is certain, you won’t experience anywhere like New Orleans anywhere else in the world. Bon Voyage have been providing tailor-made travel and holidays to New Orleans in Louisiana since 1979. 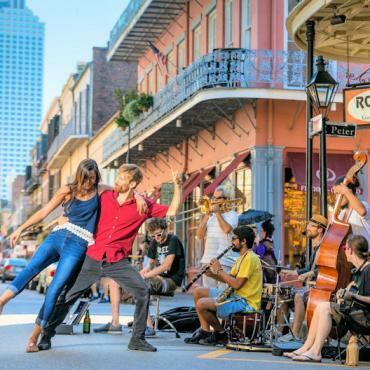 Have your New Orleans holidays expertly tailor-made by Bon Voyage to suit your exact requirements, with the quality and service you expect, and at great value prices. Big cities, little cities, villages and towns. Everything about the Deep South is Southern; a culture that is both American and unique in the world. The South is a region of incredible contrasts. Large, sophisticated, contemporary cities coexist peacefully with small authentic historic towns. On this leisurely 10-day guided tour of the Deep South you will be visiting the states of Tennessee, Mississippi and Louisiana where you'll have quality time to enjoy the South's music and food. The perfect blend of city meets sea. Memphis and New Orleans, topped off with a 7 night NCL Western Caribbean cruise. Discover some of the most interesting areas of the Deep South including the Great Smoky Mountains National Park, the most visited National Park in America. This exciting tour of the Deep South is the perfect way to experience this intriguing part of the USA. Explore Tennessee and the Deep South with this tour, including New Orleans, Louisiana's plantation country and the historic Natchez Trace Parkway route through Mississippi and Tennessee. This memorable adventure combines the lively cities of New Orleans, Memphis, Nashville and laid back states of Mississippi and Alabama for an exciting journey through the Deep South. The home of country & western music and nightlife, this adventure combines Texas and Louisiana states to offer you a taste of ranches, plantation homes and lively capitals. Explore Texas, Alabama and Louisiana on America's Southern coast. Relax in the warm sunshine and laidback, friendly Southern hospitality. This Mississippi River cruise will transport you back to an era where cotton was king and impressive mansions and vast sugar plantations were the order of the day. Showcasing the diversity and drama of the Lower Mississippi, this leisurely 10 day river cruise will take you back through American history. 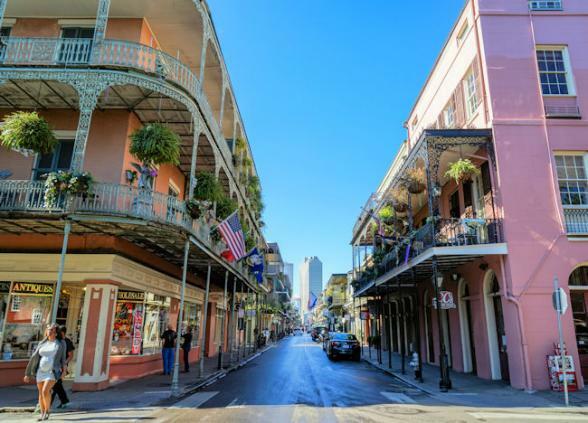 Founded in 1718 New Orleans is simply America’s most sensual city. Steeped in a history of influences from all over the globe, it’s a brilliant mosaic of culture, food, and of course, music. America's rivers are the working, lifeblood of this nation and tell a story like no other. Explore America's heartland from the brand new American Duchess paddlewheeler. Y'all will love our brand new, non-driving holiday in America’s Deep South. Visit the 'Big Three' cities of Nashville, Memphis and New Orleans with an absolute host of inclusions. 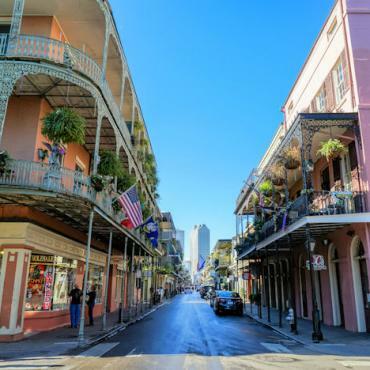 Combine the USA's most sensual city, New Orleans, with a relaxing 7-night cruise sailing the Western Caribbean. VIP events, memorable dining experiences and luxury hotels await you on this pampered guided tour through the Deep South. Trace the roots of American music in the Deep South and experience the unique cultural landscape and fascinating history. At the southernmost tip of Alabama lies the South's best-kept secrets - Gulf Shores and Orange Beach. Enjoy 32 miles of unspoiled sugar-white sandy beaches and the warm turquoise waters of the Gulf of Mexico. Discover the delights of Charleston, Savannah and New Orleans whilst leaving the driving to someone else! 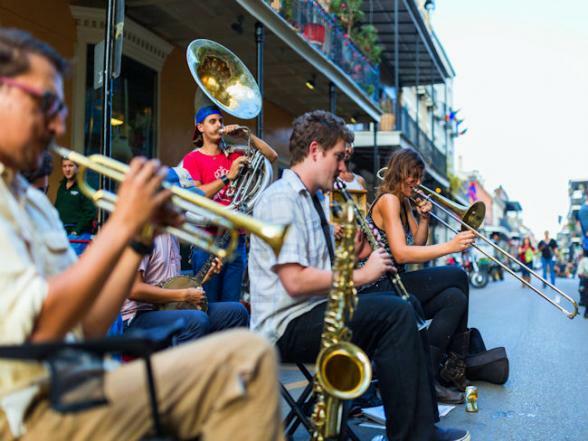 In New Orleans, a town famous for its French Quarter and Bourbon Street, for hot Cajun and Creole cuisine and for cool Dixieland jazz, one event surpasses them all as the city's legendary signature piece - Mardi Gras! Two hours north of New Orleans, The Myrtles Plantation is not only a grand, antebellum mansion, but is also considered to be the most haunted house in all of the U.S.A.....boo! When visiting Louisiana, touring at least one antebellum home is a must for most visitors: But exactly what is an Antebellum home? Welcome to the Fun, Food & Folklore of The New Orleans School of Cooking! The Preservation Hall is a musical venue in the French Quarter founded in 1961 to protect and honor New Orleans Jazz. Romantic, liberating and totally addictive, New Orleans will obsess you, posses you and stay with you forever. In the heart of the French Quarter right on Bourbon St., the Royal Sonesta building dates back to 1721. Irvin Mayfield Jazz Playhouse calls the hotel home and we understand Mr Mayfield himself plays every Wednesday night. The Hotel Monteleone has proudly stood as one of the original landmarks in the world-famous French Quarter and continues to be one of the longest family owned and operated hotels in the USA. Old world elegance on the most fashionable corner of the French Quarter, St. Louis at Royal. Rooms are well appointed and we absolutely adore the rooftop pool.